With intelligently designed entertaining spaces and the service and customer support its distributor—HMY—is known for, this builder’s American dream might just come true. 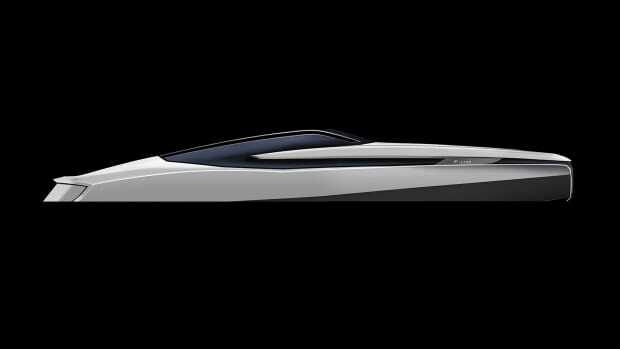 A new boat model at a boat show: not surprising. 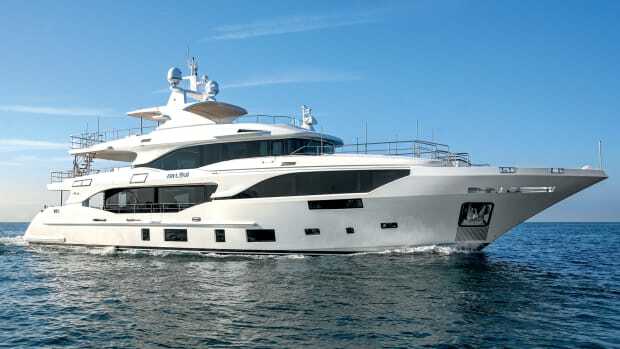 But a new boatbuilder—one we haven’t heard of? Now you have our attention. 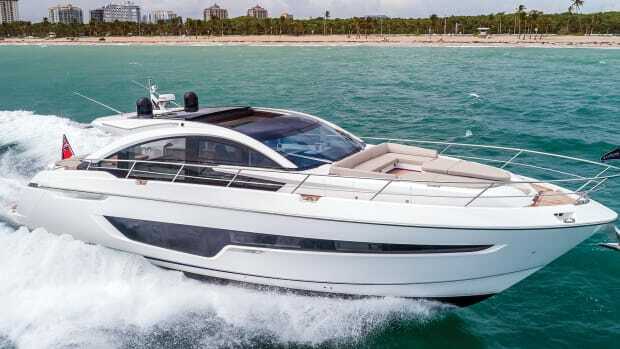 My ears perked up when I heard that the Okean 50 was debuting at the recent Ft. Lauderdale boat show. Now, typically, a new, obscure builder like Okean would be relegated to some far-flung corner of the show, but that wouldn’t be the fate of the 50. Because it’s exclusively distributed by brokerage giant HMY, the newcomer immediately earned a seat at the adult table and the credibility that comes along with the backing of such a company. But even if she didn’t have such a prominent position at the show she would undoubtedly still catch the attention of those on the docks. 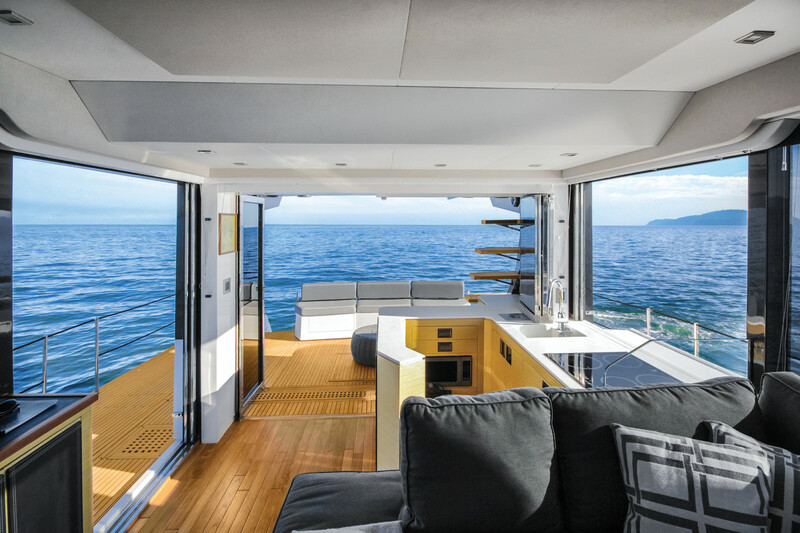 Enormous foldout balconies to port and starboard offer increased volume and some of the best seats in the house. 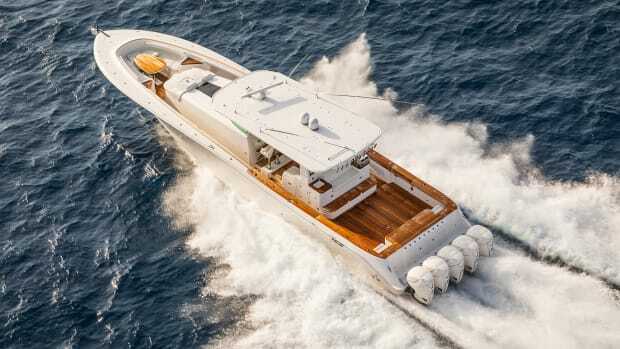 I met the Okean 50 at the tail end of a long day walking the show and was immediately drawn to the portside balcony where a pair of wicker chairs and stools sat beside an outdoor bar and huge galley window. I saddled up to the bar and rested my elbows atop the counter. It took only a little imagination to picture myself in an anchorage somewhere enjoying that spot with a cold drink in hand. I also thought that this would be a popular place for younger guests to hang out or dine under the watchful eye of the chef in the galley. Among the other things that impressed me about the 50 were the sightlines. 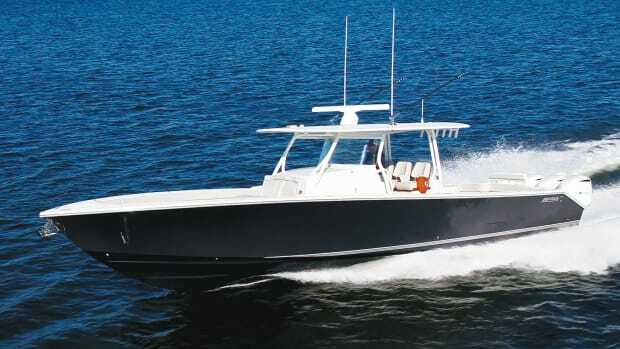 A buzz phrase that’s slung around too frequently in our industry is 360-degree views, but in this case I can attest that this boat has them. 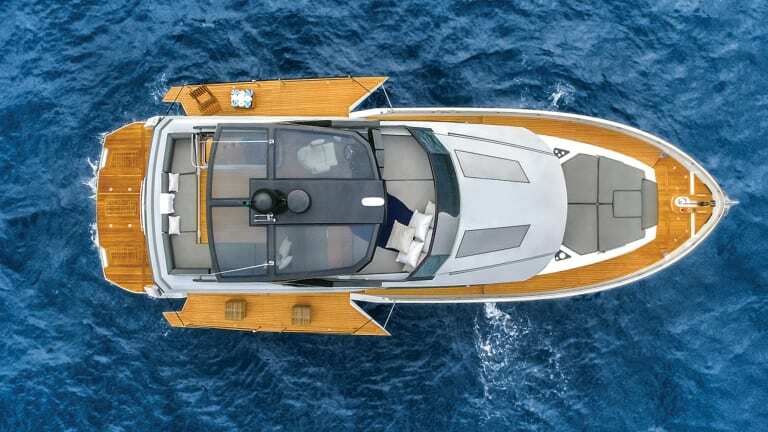 From the helm you can see all around this open craft, which is great when docking, and emphasizes that feeling of being connected to the water, something that’s ingrained in the Brazilian builder’s DNA. 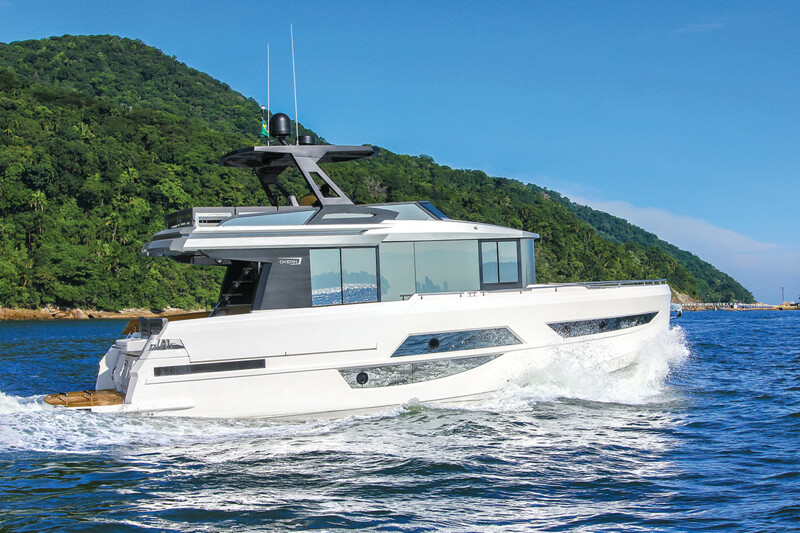 The 50 sports a fairly standard three-stateroom, two-head layout, but there are a number of smart design touches throughout the boat that keep it interesting. 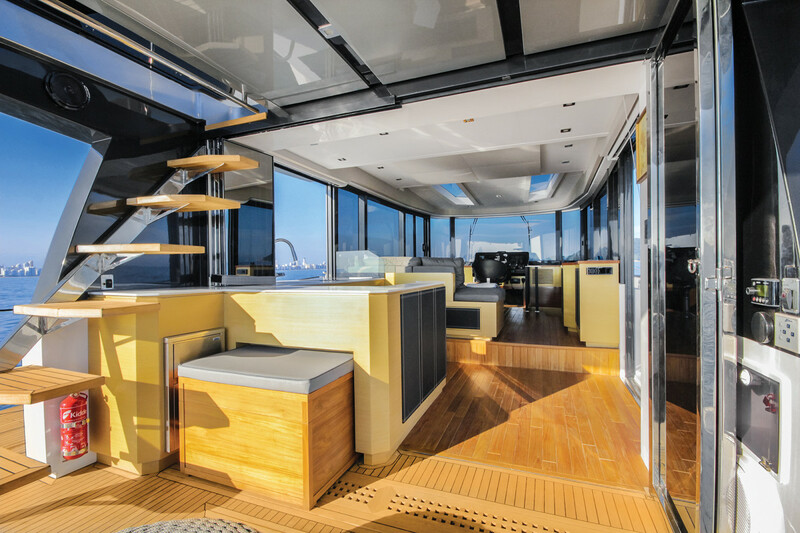 For example, a large electrical panel is laid out flat in the dashboard to port of the helm. At first I thought its placement was weird, but then I realized it’s just different. And different, in this case, is a good thing. 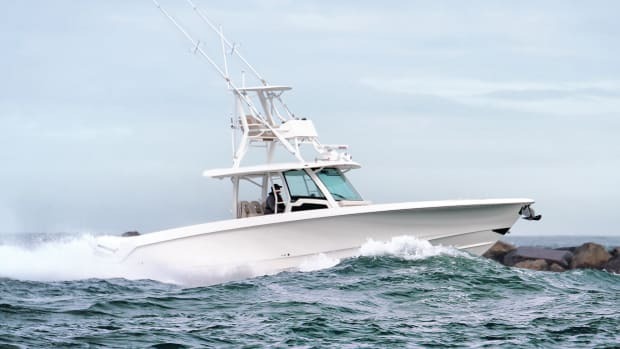 It quickly grew on me when I realized how easy it was to read every label without needing to army crawl up to it, the way you have to do on many other boats. 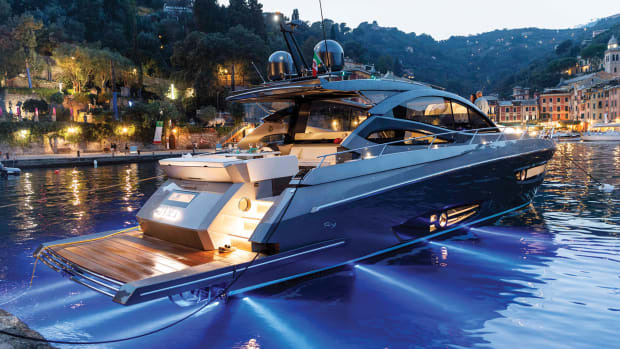 When walking through the open-layout yacht I met Okean’s owner, Nerico Fernandez. He seemed to be thrilled with the traffic his passion project was enjoying. He proudly told me how happy he was with his Italian designer Paolo Ferragni. 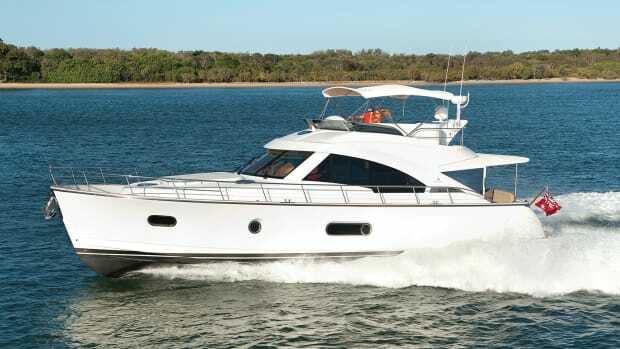 A number of Okean 50s were sold in Brazil, but management quickly realized that, for them, the United States was going to be the land of opportunity. 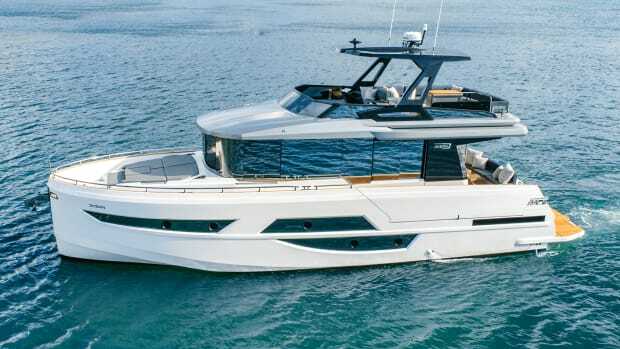 With intelligently designed entertaining spaces and the service and customer support you get from HMY, I think this builder’s American dream might just come true.